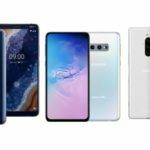 The year 2019 will certainly be more eventful than 2018 for smartphone buyers, as global vendors are seen upping the ante in every aspect, thanks to increasing competition, which in turn is driven by an unrelenting demand for smartphones in each price segment. 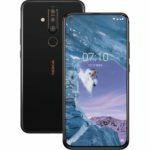 HMD Global impressed Nokia fans with excellent phones such as the Nokia 6.1 Plus in 2018, and even Samsung did a good job by turning its attention towards mid-range phones for a change, giving us the triple-camera Galaxy A7 (2018) and the quad-camera Galaxy A9 (2018) (Review). In January 2019, HMD Global will unveil its highly anticipated Nokia 9 PureView, which by now is virtually confirmed to sport a penta-lens camera. From a new series of leaks, we can even confirm the size and design of the device. 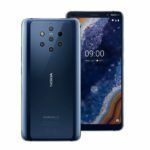 According to a report by Nokiamob.net, the launch time for Nokia 9 PureView is somewhere in the last week of January 2019. The website came to this conclusion based on a tweet by the Russian website ‘Nokia anew’, which said there was only one month left for the announcement of the Nokia 9 PureView. Since this is not an official announcement, we must take it with a pinch of salt, but given how long the device has been subject to leaks, it makes sense that HMD Global is ready to at least unveil the device, if not release it for sale. After all, the latest leaked renders show off the complete design of the device, hinting at a launch sometime soon. 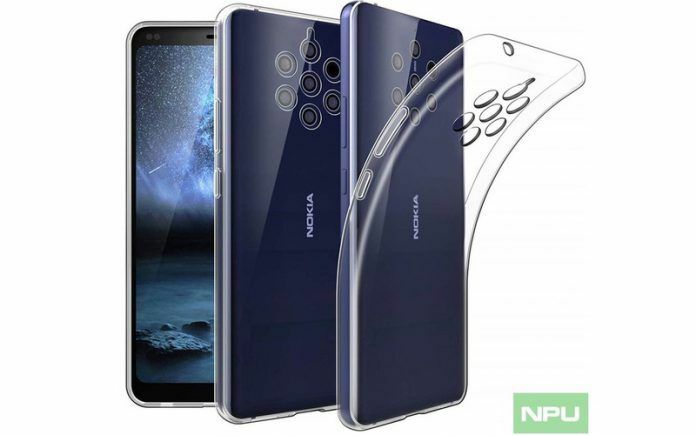 Several images of the Nokia 9 PureView with a clear case were posted by Nokia Power User today, confirming the design and display size of the device. The display will be 5.9 inches diagonally in size, and not a full 6 inches as was had reported earlier. 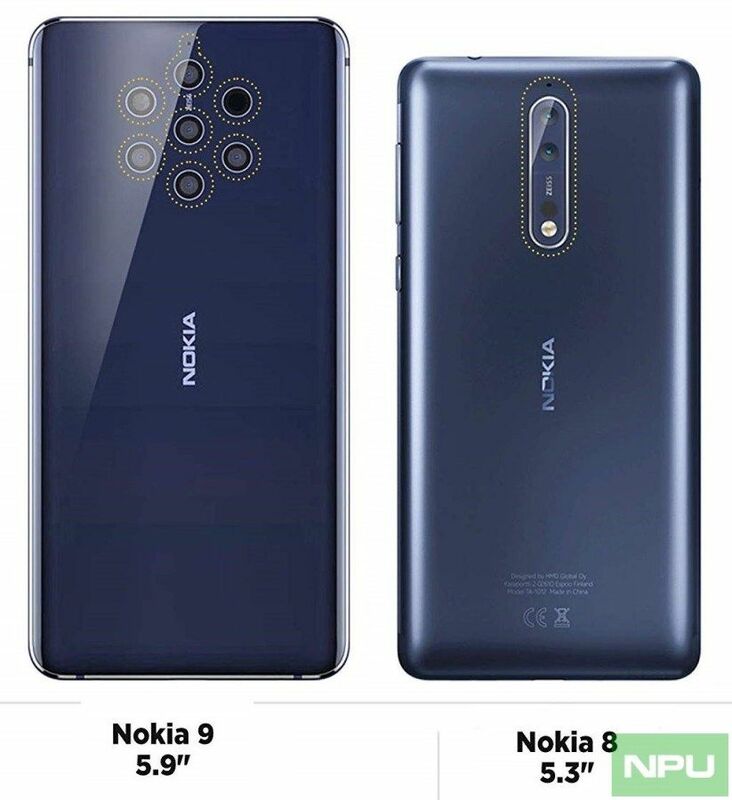 In one of the images, we can see the Nokia 9 PureView in comparison with the Nokia 8, which has a 5.3-inch display. The new Nokia device does not look any wider, and looks only slightly taller, meaning that the handset will probably have 18.5:9 screen aspect ratio, with a large-ish display fitted into a small-ish body. We can also see that there is no notch, with a not-so-narrow chin and thin bezels running around the display, culminating in a somewhat thick top bezel. The front-facing camera can be seen placed on the right-hand corner of the top bezel, just before the Nokia badging, which is on the very edge. There are two sensors on the left-hand corner of the top bezel, possible for ambient light and proximity reading. The Nokia 9 PureView has cleared a couple of certifications. 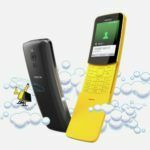 Images of some official and some unofficial covers for the device have surfaced online, and it does look like the handset will be officially unveiled soon. In any case, with Honor’s new View20 (aka V20) capturing public attention for its 48MP camera, HMD Global will have to make its move quickly. 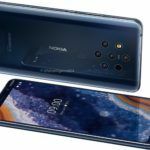 It appears that the Nokia 9 PureView will sport a glass back, a Quad-HD OLED display, and a Qualcomm Snapdragon 845 chipset. However, with a 2019 launch and for a premium price, HMD Global will be better off powering the device with the new 7nm Snapdragon 855 processor.